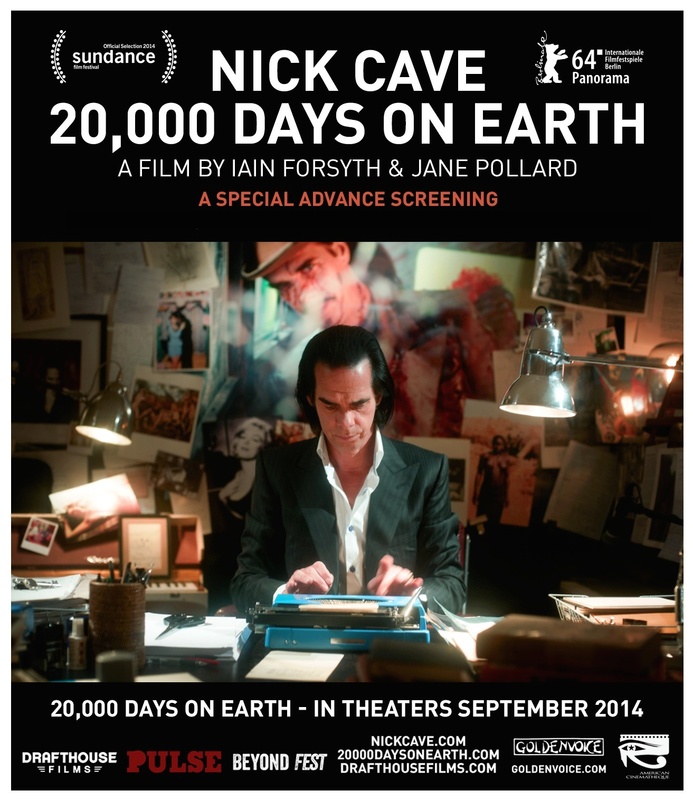 Special advance screenings of 20,000 Days on Earth will play across USA and Canada, to coincide with the upcoming Nick Cave & The Bad Seeds North American Summer tour. Three extra special screenings will also be followed by an exclusive conversation and solo piano performance by Nick Cave himself in LA, New York and Montreal. The screenings will take place in tour cities across the US and Canada and will give a chance to see Nick Cave’s Sundance-winning film before its theatrical release this September. Tickets to the three screenings with solo performances from Nick Cave in New York, Los Angeles and Montreal have sold out, but tickets for advance screenings are still available on nickcave.com/live.